Stewart Grant grew up in Pointe Claire and graduated from the Faculty of Music at McGill University and the Conservatoire de musique du Québec. His training also included private studies in composition with Gordon Delamont and summers at Tanglewood, at Aspen and as a member of the National Youth Orchestra. Mr. Grant began his conducting career at age eighteen, organizing and directing an orchestra made up of students from both the McGill Faculty of Music and the Conservatoire de musique du Québec. In 1978, he was named Music Director of the Lethbridge Symphony Orchestra in Alberta. Over the sixteen years he held this position, he developed the Lethbridge Symphony into what the Canada Council for the Arts considered to be a model for semi‑professional orchestras across the country, earning for himself the Heinz Unger Award for conductors. A former member of the National Arts Centre Orchestra, Mr. Grant has performed as an oboist with organizations such as the Montreal, Toronto and Edmonton Symphony Orchestras, the National Ballet and the Canadian Opera Company. Presently in his ninth season as Music Director of the Lakeshore Chamber Orchestra, he is the founding Artistic Director of La Sinfonia de l’Ouest and, from 1999 to 2017, was Artistic Director of the West Island Youth Symphony Orchestra, with whom he toured France, Italy, the Czech Republic and Western Canada. 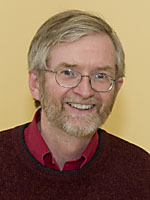 Stewart Grant has composed works for organizations such as the Orchestre symphonique de Montréal, the Banff International String Quartet Competition, the Canadian Chamber Choir, Le Quatuor Claudel, the Edmonton Symphony Orchestra, Les Jeunesses musicales du Canada and The Thirteen Strings of Ottawa, as well as for solo artists such as violinists Martin Beaver and Andrew Wan, organist Dom André Laberge and contralto Maureen Forrester. His music has been performed and broadcast from coast to coast in Canada and has been performed in Europe, the United States, India and South America. In 2010, Mr. Grant was awarded the Prix de musique of the Association des orchestres de jeunes du Québec, and in 2012 he received the Queen Elizabeth II Diamond Jubilee Medal in recognition of his contribution to the musical life of the West Island.